Clients can trust that I will resolve any problem, or recommend a practical and economical alternative solution. 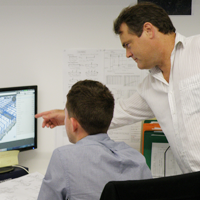 Efficient and practical designs, delivered on time with good humour and team spirit – that’s my approach to being a professional engineer, and the example I continue to set in my capacity as a mentor. 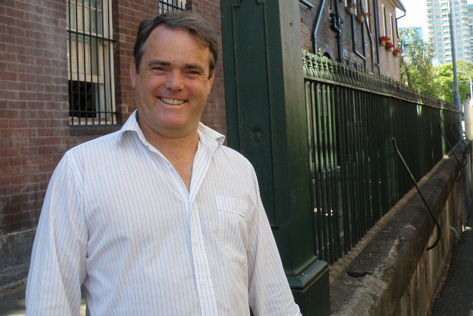 Phil Terrey has been professionally engaged as a consulting engineer since 1999, and a PhD candidate, research fellow and tutor at the University of New South Wales (UNSW) for six years. Phil is noted for helping to nurture teamwork and professional development within Costin Roe. The experience of my tenure with UNSW is part of my unique contribution to the management team of Costin Roe. I’m passionate about mentoring the junior engineers. It’s exciting for me to see them rise through the firm, maturing into technically-sound, practical-minded engineers with significant accomplishments behind them. The investment of time in our people is an investment in the firm’s future. Focus on professional development and recognition via internal promotion means the pathway to growth and long-term career advancement at Costin Roe is very bright indeed. A sound technical base in engineering cannot be gained by degree alone but through the extrapolation of theorem and application of methodology in the widest possible variety of real-world engineering scenarios. My years as a professional consultant have involved innumerable client relationships and successful completion of major projects using a great number of different construction types, methods and materials. Every senior engineer at Costin Roe brings the sum of their experience to the table in every project management and problem-solving situation. The level of expertise and openness to knowledge-sharing at the firm’s helm is extraordinary. It fosters collaborative professional development and the achievement of technical excellence all the way down the line. The resulting effect is synergistic and part of what makes our firm so innovative and ultimately reliable. I play golf quite competitively and really enjoy it, but from my first scuba dive I was seriously hooked. An urban spaceman in the submerged universe, that’s how it felt at first. As a frontier for human exploration, the ocean is near-infinite. Beneath the waves, my divorce from the everyday and immersion in the alternate is absolute. I dive on weekends, whenever I can, and sometimes in the evenings after work. 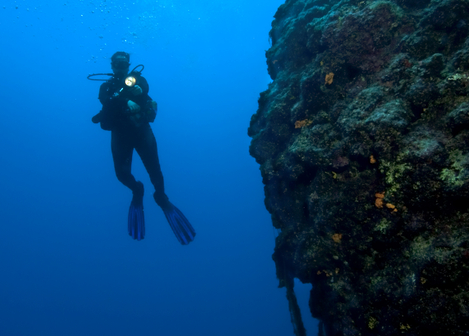 Coral reefs and wrecks would rate among favourite spots. When I return to focus on the projects and problems before me, the everyday challenges of engineering are approached from a refreshed perspective.